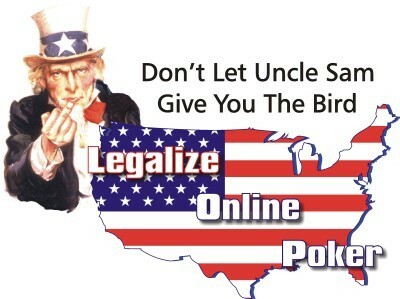 Throughout 2009, the ongoing grassroots effort to legalize poker has been gaining traction. Legal victories across the US in Massachusetts, Colorado, Pennsylvania, and South Carolina saw poker being referred to as a ‘skill’ game, with players participating in, and organizing, home poker games exonerated of any wrongdoing. Additionally, Barney Frank (D-MA) and Robert Menendez (D-NJ) have introduced legislation to legalize and regulate online poker in the House of Representatives and the Senate: And even conservatives have been jumping on board touting the possible revenue stream a regulated online poker industry would produce (Google -George Will + Online Poker). However, it seems the wheels have started to come off in recent weeks. First there was the US Attorney’s Office in NY seizing $34 million of online poker player’s withdrawal money– The online sites have since reimbursed those players, and payments are now being made without incident. In the courtroom, both the Colorado and Pennsylvania decisions which cited poker as a game of skill have been overturned on appeal. Last week a Pennsylvania jury ruled that poker was indeed gambling, and not a game of skill. 65 year old Lawerence Burns had been organizing local poker tournaments, and was charged with 12 misdemeanors. Burns felt his poker tournaments fell outside the illegal gambling laws, and was initially found not guilty. On appeal the ruling was overturned, and Burns has been found guilty on all 12 counts. In Colorado, Kevin Raley was originally found not guilty by a jury, for the crime of illegal gambling (a misdemeanor in Colorado punishable by a fine up to $100). The District Attorney immediately appealed (apparently he felt getting $100 from Mr. Raley was worth the thousands of dollars spent in time and money by the state) and the ruling was overturned by the appellate court. Raley is expected to appeal. It’s unclear how these rulings will affect the overall landscape: It would seem highly probable that online poker will be legalized and regulated at some point (all efforts to rein in online poker have been miserable failures), and many states are looking into adding casinos/card-rooms to boost ailing economies (my home state of Massachusetts for one). This entry was posted on Monday, August 17th, 2009 at 8:38 am and is filed under Poker News. You can follow any responses to this entry through the RSS 2.0 feed. You can leave a response, or trackback from your own site.